Powerful typhoon Jelawat has made landfall on Japan’s Aichi Prefecture, one day after hitting Okinawa. 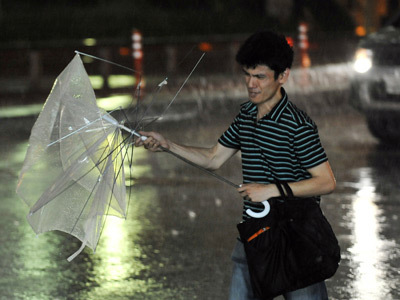 The typhoon packed winds of up to 126 kilometers per hour as it hit the country’s main island of Honshu. 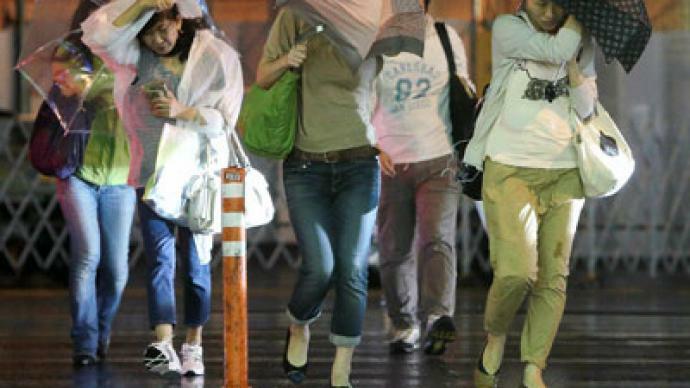 ­The typhoon is currently heading toward Tokyo at a speed of 55 kilometers per hour. The city and its surrounding areas have closed shopping areas and canceled dozens of train services. Officials have instructed tens of thousands of households to evacuate under fears that rivers in the area will overflow, Japanese news agency NHK reported. The government has warned of potential landslides, and canceled nearly 600 domestic flights. ­Hundreds of thousands of residents throughout the country have been left without electricity. Japan’s Meteorological Agency says that the atmospheric pressure at the center of the storm is currently at 975 hectopascals. Heavy rainfall is expected along Japan’s Pacific coast, as well as in Tokyo’s Honshu Kanto-Koshinetsu region. ­On Saturday, the typhoon wreaked havoc in the southern Okinawa and Kagoshima prefectures off Japan’s southern coast. The storm led to electricity blackouts and caused vehicles to overturn. 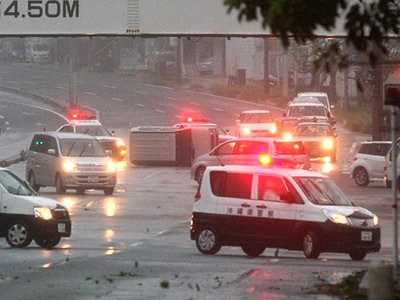 The typhoon has left one person dead, one missing, and 145 people injured across Okinawa and 12 other prefectures. Many of those injured were blown over by strong wind gusts or hit with flying objects. Jelawat is the seventeenth typhoon to hit Japan this season.